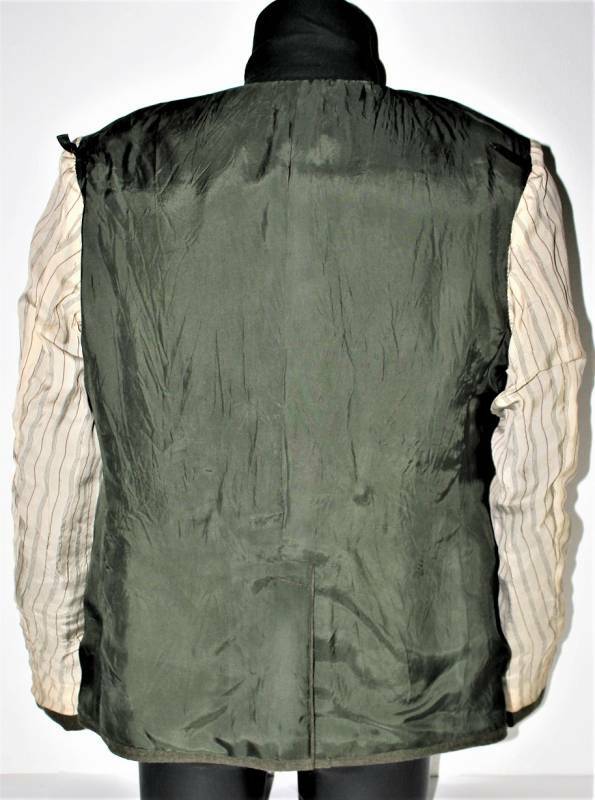 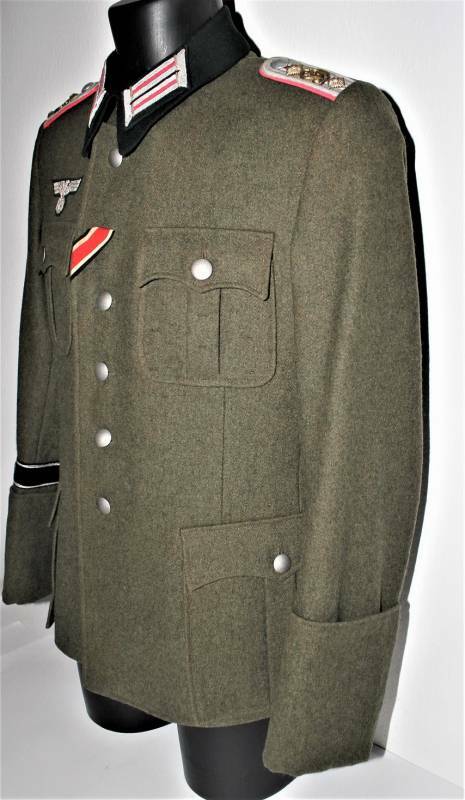 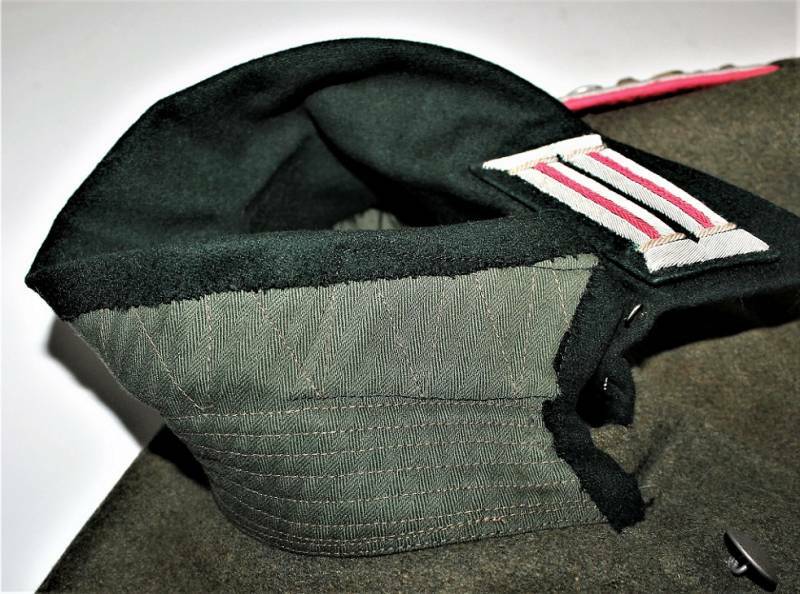 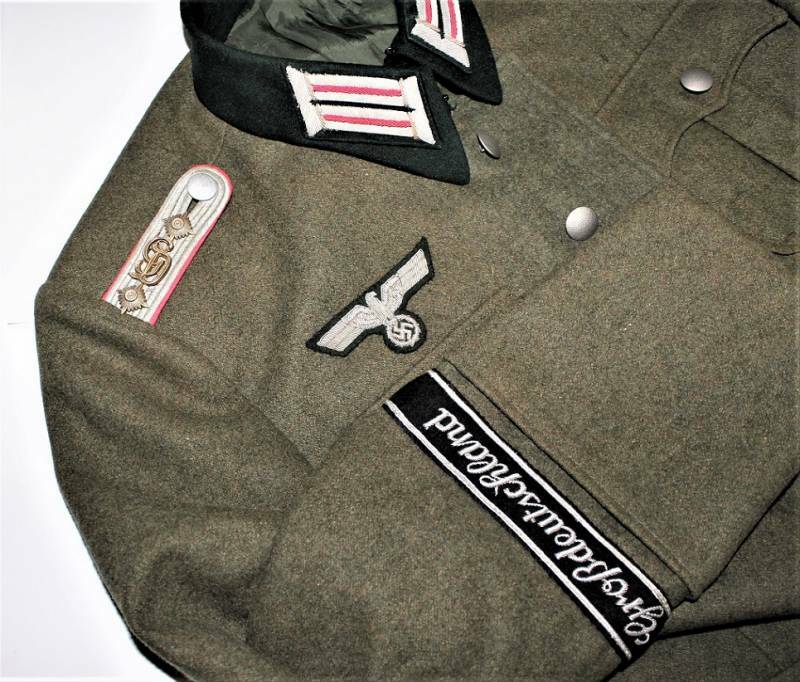 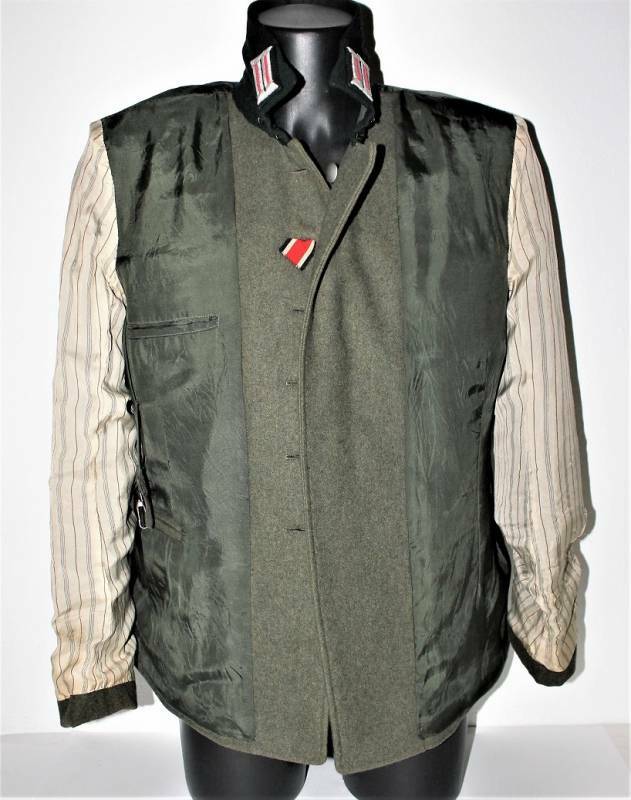 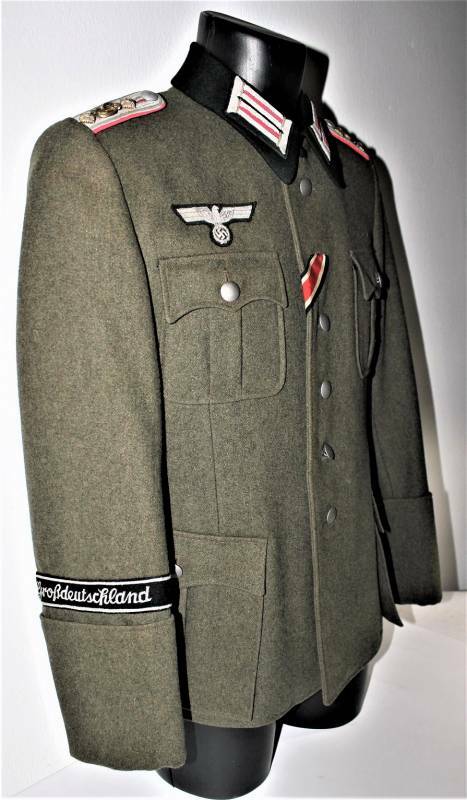 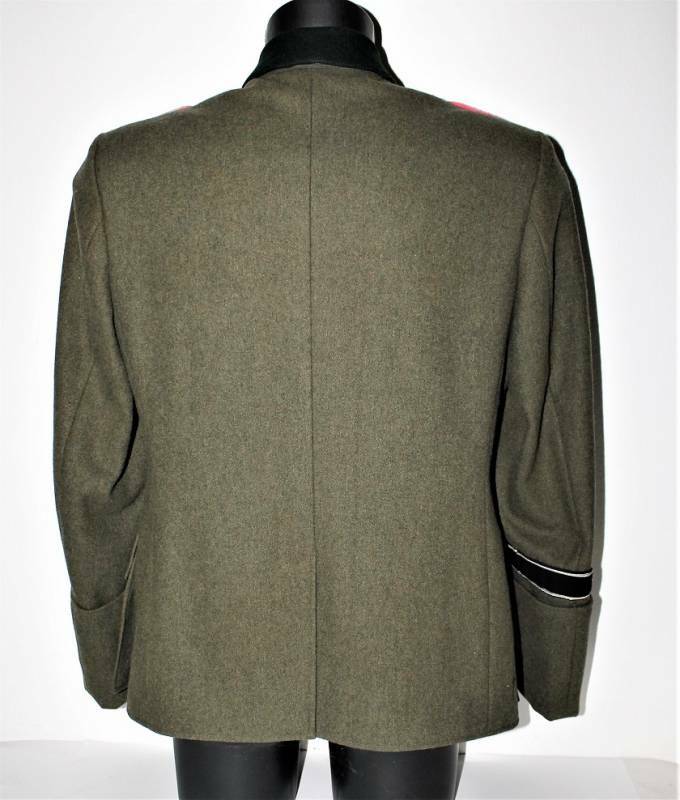 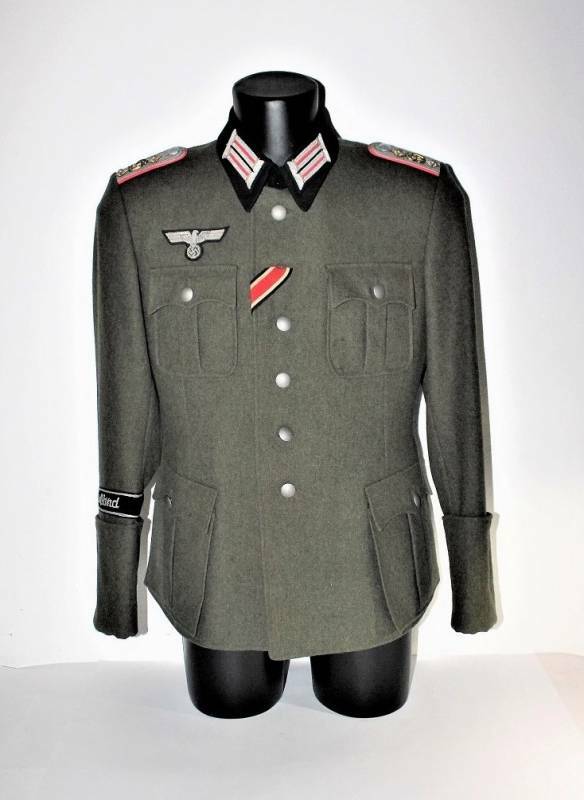 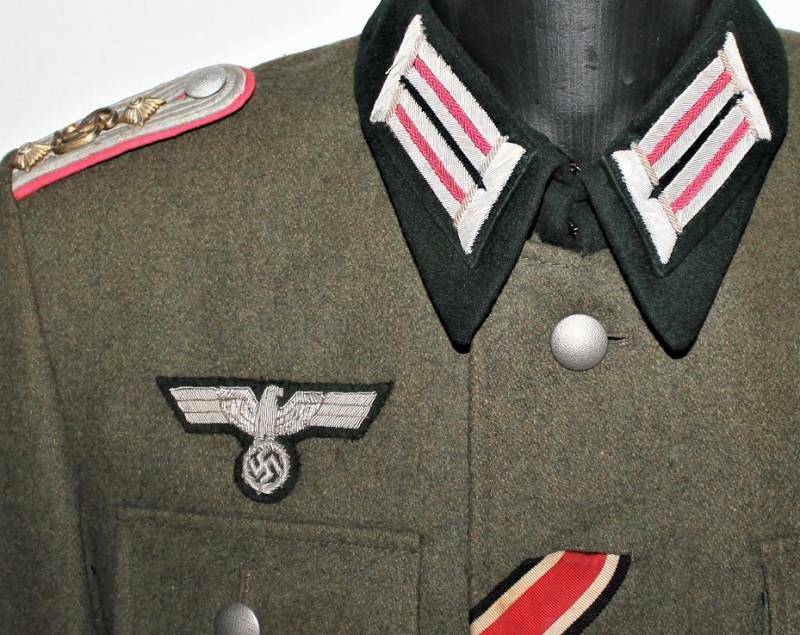 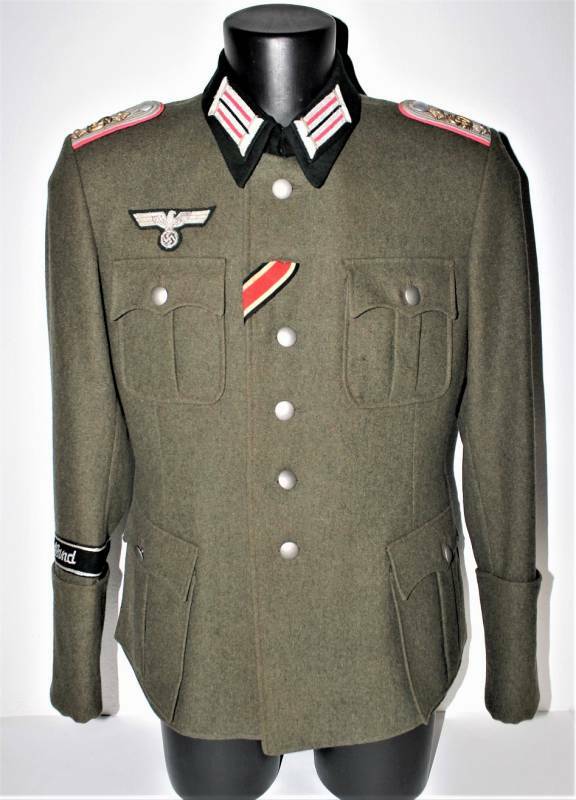 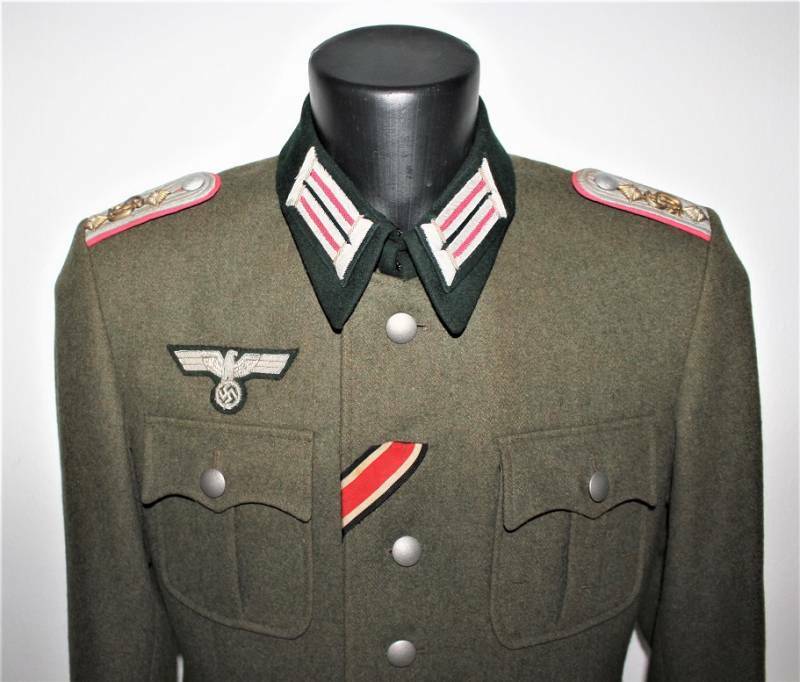 Beautiful jacket M36 for Officer Panzer regiment GROBDEUTSCHLAND, conditions almost equal to new, slight signs of wear and time, unrestored or repaired, no holes or tears, perfect seams, only slight patina of time and use, all the insigna are mounted in the era. 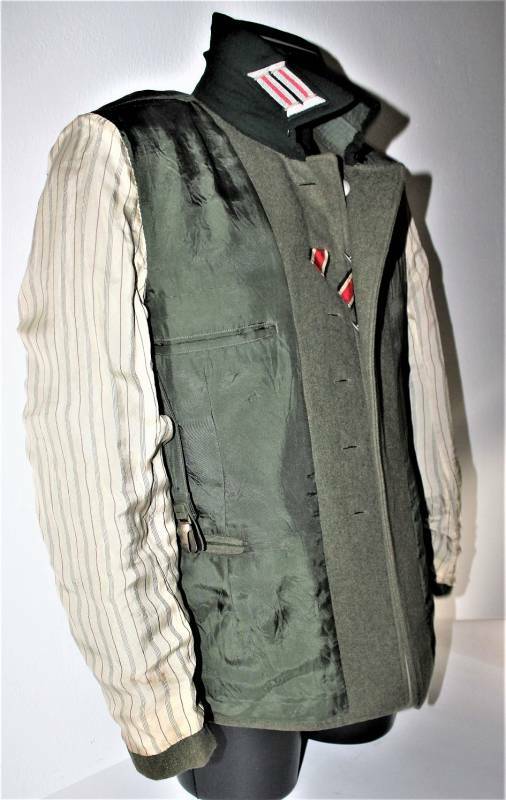 Made of feldgrau woolen cloth. 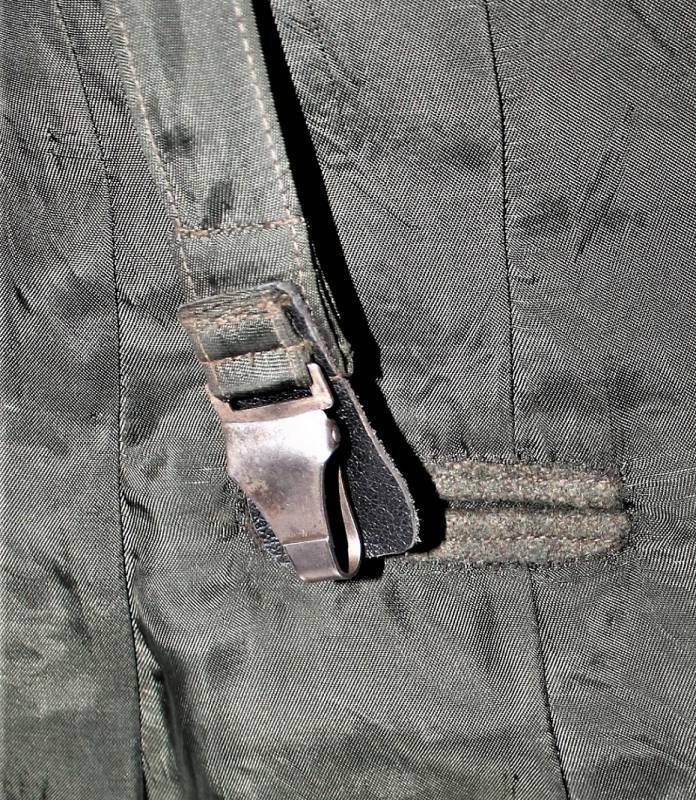 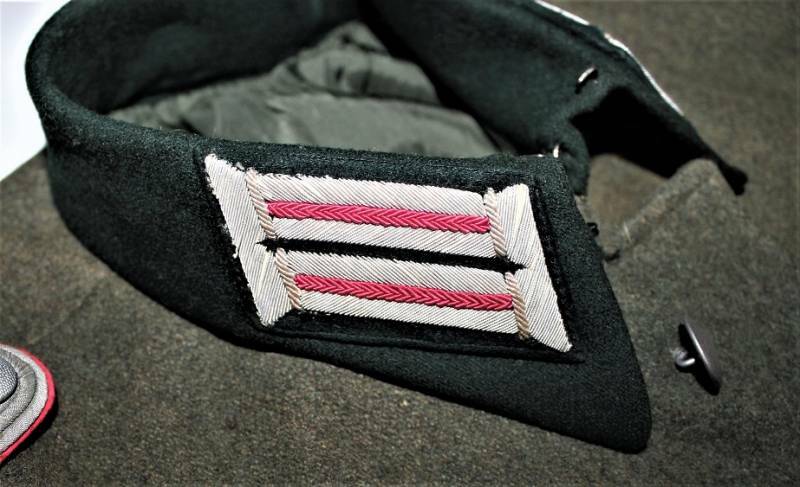 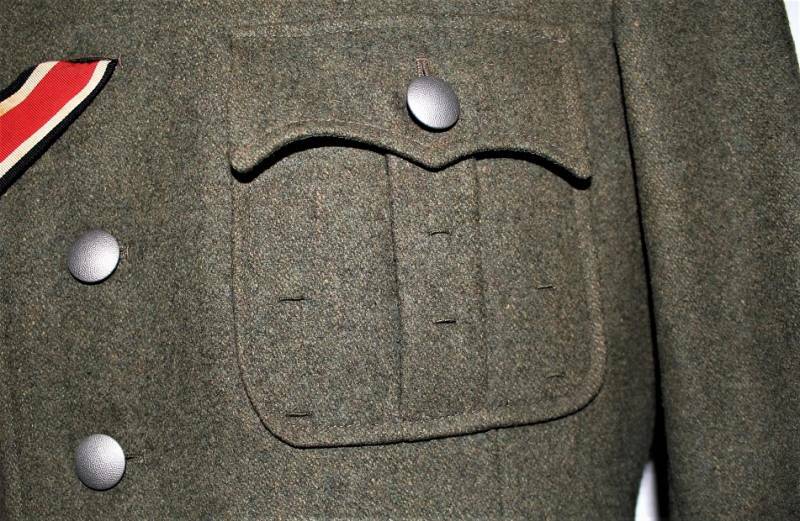 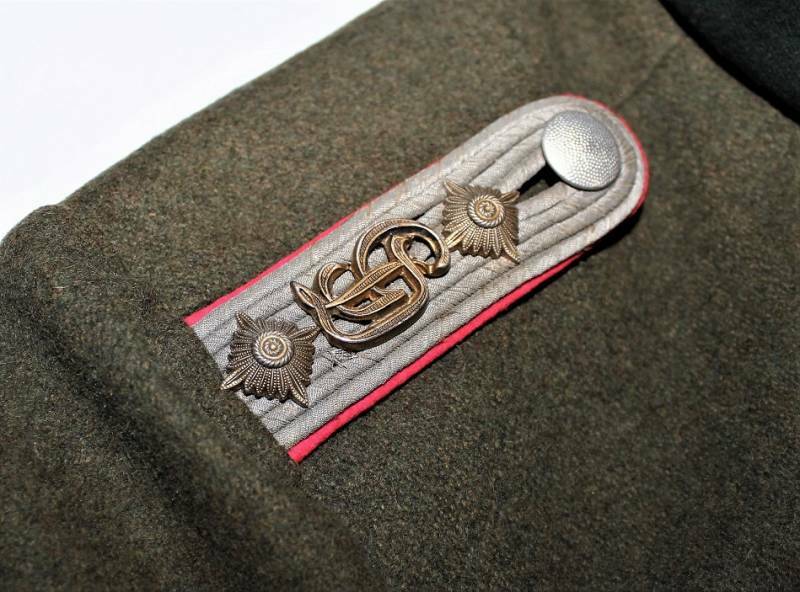 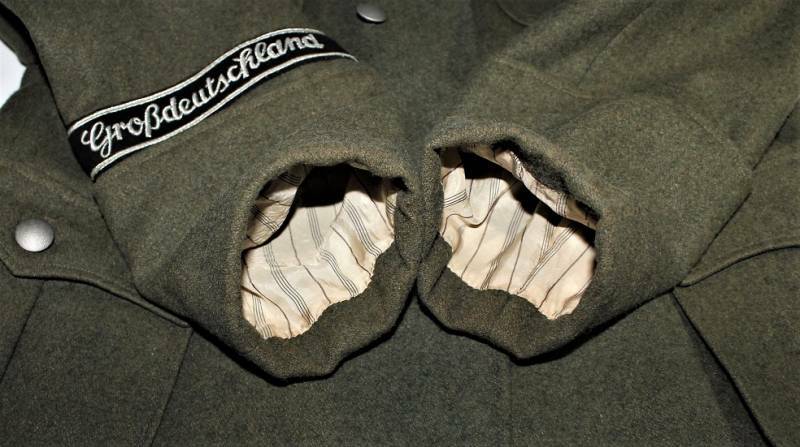 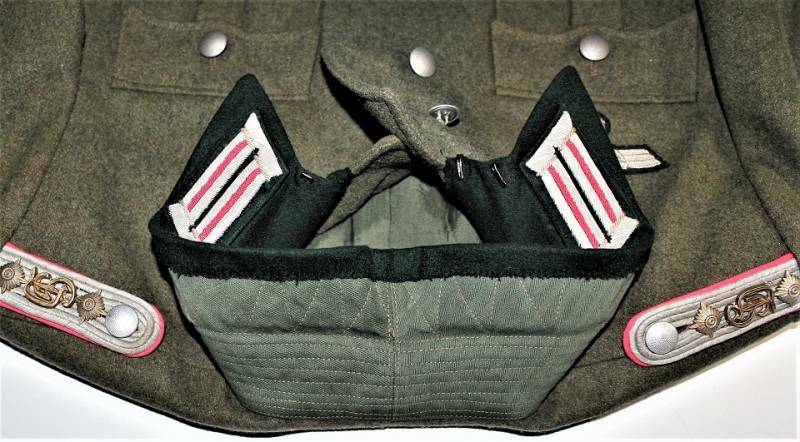 In the inner pocket, the manufacturer´s label with the soldier´s name and year. 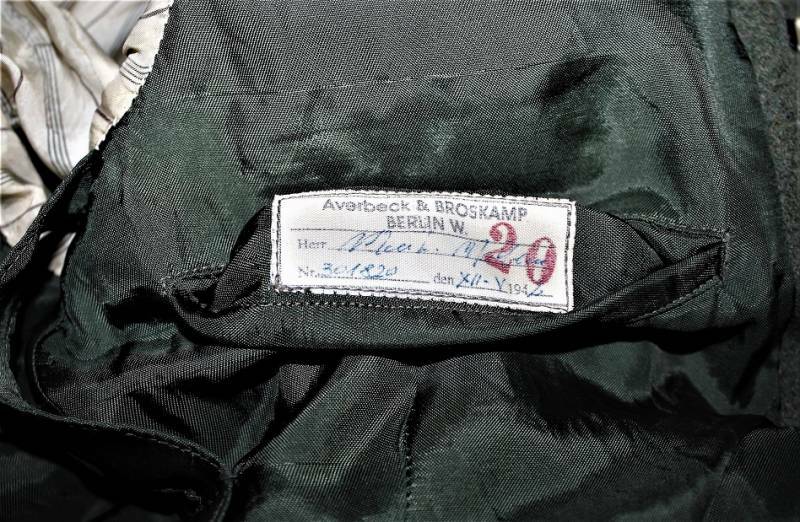 Size about 50. 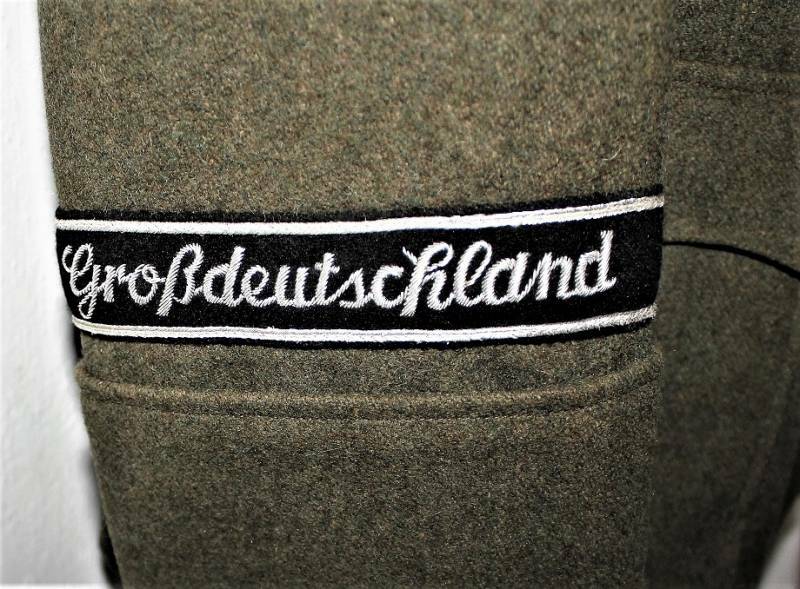 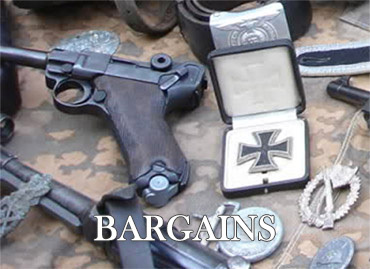 Original 100% WWII period.